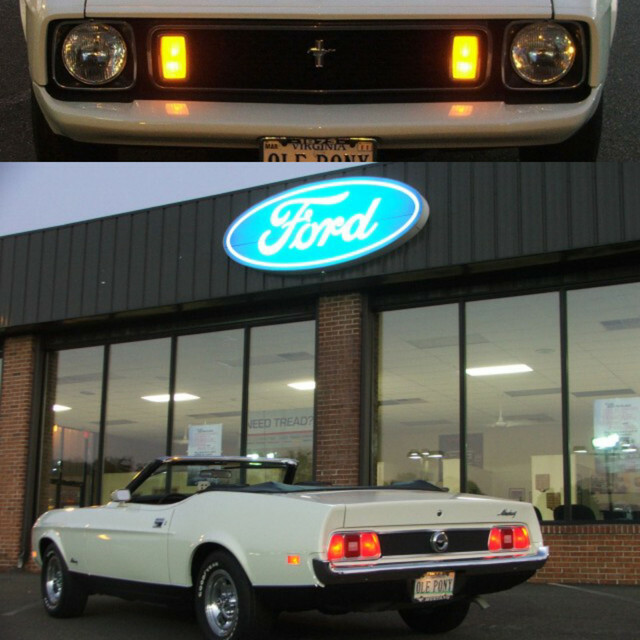 I just purchased an all original except for the paint and wheels 73 Mach 1, the gentleman I bought it from has owned it since the early 80's. The body is nice and straight but could definitely use a new paint job. I just sent for a Marti report to find out the original color so I can take it back to original. It is missing a few things here and there but that is to be expected from sitting in a barn for about 20 years. One thing that I noticed was missing is the seat belt warning light/buzzer in the passenger side dash, could anyone tell me where I could get one? As soon as I figure out how to post pictures (I'm not very good with computers) I'll put some in here. To post picture look for the ADD IMAGE TO POST button just below the box you type in. Click then when the window comes up click on Brouse From your computer. Should get you to your files. You can click multiples at one time. Then when they are in the box click upload and they should go to your post. The light on the dash is not repo I do not think. Check with Don one of the site supporters should show him at the bottom of page. You can also put up a WTB add here. Welcome from Virginia! Looking forward to seeing pictures.